So how about it, I have now stood on the top of edoras, looking out at the great mountain ranges surrounding it. 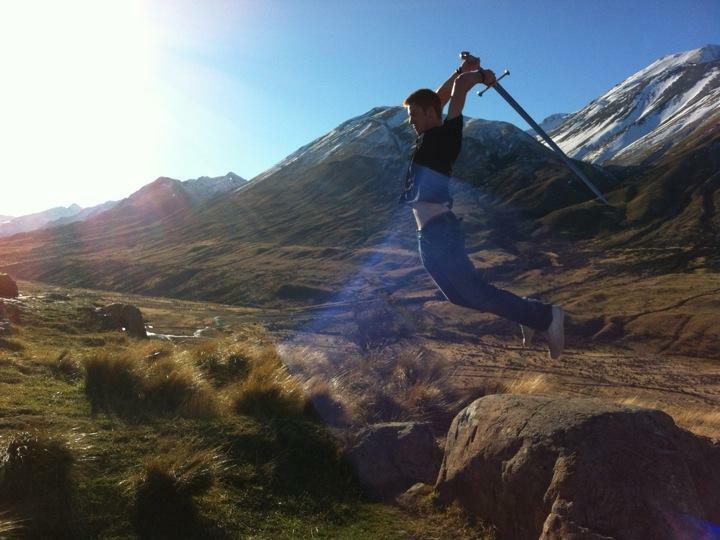 Nevermind what everyone keeps saying about new zealand being the real middle earth: Mount Sunday is the real Rohan. It is f***ing hard trying to imagine a location more fitting than this for a the capital of Rohan. Even without considering the fact that you're on a site where they filmed some of the greatest movies of all time, it is spectacular views all the same. Even I was taken aback by the nature and surroundings here, it WAS that beautiful. The guys I went with: hasslefree tour seemed a bit snobby when I looked up tours to edoras, like something for people with no major interest in LotR but just wanna see the landscape. Wayyyy wrong, the guide was really good and both he, us and the driver had equal fun throughout the day. Really like that about a guide. Learnt a s***load about the making of the films, got to play around with swords for the über-nerd factor, spent a day out by the most recognizable feature out of the movies.